All new students are invited to join us for Welcome Day Thursday, August 23 (12:30pm-4:30pm). Welcome Day is where you begin to navigate the campus and learn about the resources available to you as a student! you will meet new people, build connections, have fun, and learn how to show off your YELLOWJACKET PRIDE! There are lots of fun events and activities during welcoming week. Come meet new people and learn the campus while preparing for the new semester. Welcome Week will help you feel more comfortable and confident as you navigate campus and begin classes, not to mention it is a lot of fun! 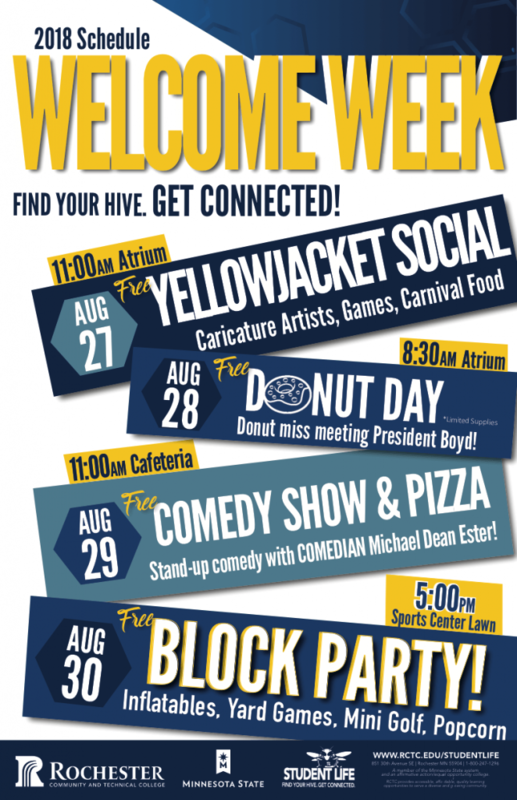 You will get to participate in key campus traditions including Yellowjackets Social and more!